Ron Joyce, a high school dropout and former police officer who helped make the Tim Hortons fast-food stores a ubiquitous part of Canada’s landscape, died on Jan. 31 at his home in Burlingon, Ontario. He was 88. Politicians trailed by cameras as they buy a “double-double” coffee (two creams, two sugars) at a Tim Hortons are now an inevitable part of Canadian election campaigns. To its fans, the chain is something of a national symbol. As he neared the end of his hockey career, which was spent mostly with the Toronto Maple Leafs, Tim Horton founded the company that bears his name with Jim Charade, a Toronto businessman, in 1964. Mr. Charade left the company early on, and Mr. Joyce became Mr. Horton’s partner in 1966. He borrowed 10,000 Canadian dollars from a credit union and bought the store as a franchise. He quit the police force to run the store full time and worked with a baker who, Mr. Joyce said in his memoir, set the nightly production levels after consulting a Ouija board. But soon the business turned around and he and Mr. Horton became partners in the parent company, which began selling franchises in other locations in the Hamilton area. In its early years under Mr. Joyce, the company focused on franchising in smaller communities, where competition from other fast-food chains was limited and relatively little money was needed for advertising. That small-town focus, Mr. Joyce said in his book, gave the company a foothold that worked to its advantage when it finally moved to fill big-city Canada with its shops. 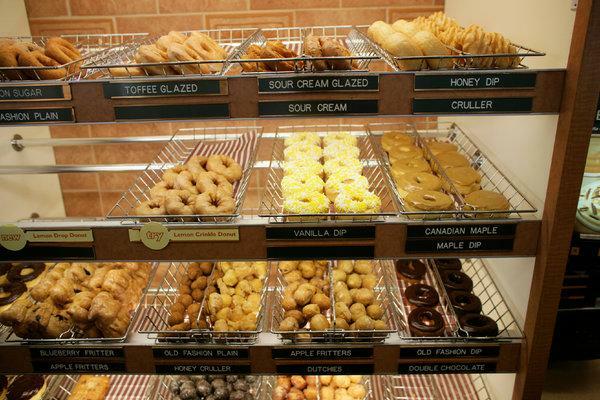 Over time, Tim Hortons innovated. In 1975 it introduced bite-size Timbits, which remain a signature product. It was one of the first restaurants in Canada to confine smoking to sealed rooms and then to ban it altogether. It dropped “donuts” from its sign and added sandwiches, soups and yogurt to its menu. Despite Mr. Joyce’s initial hesitancy, the chain embraced drive-through sales. As the company’s success grew, so did friction with some franchise owners over issues like the cost of supplies. Unions have also been critical of its record as an employer. Efforts to match the chain’s runaway Canadian success in the United States have been mostly disappointing. At Tim Hortons, Mr. Joyce set up a foundation that operates camps for children from low-income families. He later established a family foundation focused on children’s health care and education. In 1996 he sold the business to the American hamburger chain Wendy’s for about 600 million Canadian dollars in cash and stock. While Mr. Joyce became the largest shareholder in the combined company, he later said that he regretted the sale. Tim Hortons became independent again 10 years later. In 2014 it was bought outright by the owners of Burger King, prompting something of an outcry from some Canadians. On Wednesday, Tim Hortons resumed an annual promotion Mr. Joyce started in 1986, in which customers turn up the rim of special coffee cups to see if they’ve won prizes ranging from cars down to, more commonly, doughnuts. The reappearance of the promotion, “Rrroll Up the Rim to Win,” is greeted by many Canadians almost as much for marking the unofficial midpoint of winter as for the prizes it offers. Next PostNext Workers’ Activism Rises as China’s Economy Slows. Xi Aims to Rein Them In.